MEXICO CITY (Sputnik) - The Venezuelan Foreign Ministry has accused neighbouring Ecuador of xenophobia after the Ecuadorian authorities launched a crackdown on Venezuelan migrants. Ecuadorian President Lenin Moreno ordered setting up specialized units to control Venezuelan immigrants after a Venezuelan man killed his pregnant Ecuadorian girlfriend in the northern city of Ibarra. "President Moreno's official statement spurred a spiral of xenophobic violence against the Venezuelan migrant community in Ecuador," the ministry's statement read. 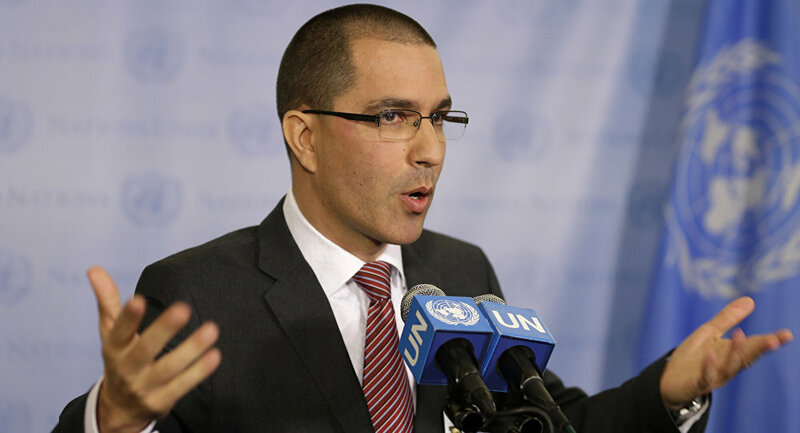 Venezuela's Foreign Minister Jorge Arreaza also said on Twitter that Caracas intended to take action that might be available to it against Ecuador's xenophobic behavior.